GES Roll Out New Basic School Curriculum In Sept. Dubbed the 4Rs, the new 12-subject curriculum will provide pupils with the needed foundation skills required for lifelong learning, creativity and national development. 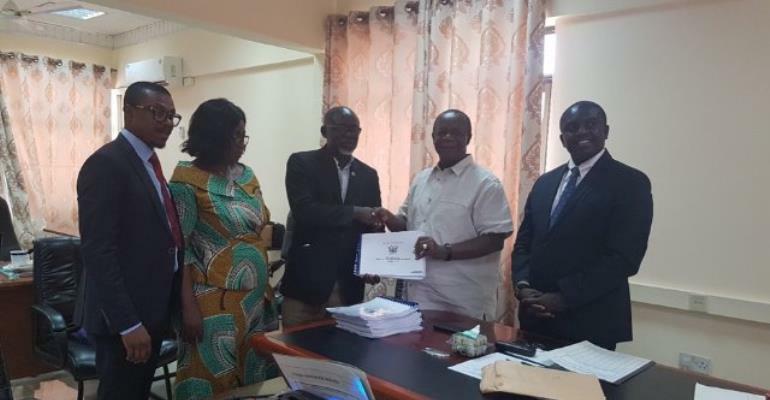 This follows the successful handing over of the new KG to B6 curricula by the National Council for Curriculum and Assessment (NaCCA) to the Ghana Education Service (GES). President Nana Akufo-Addo had in the state of the nation address hinted of the development of the new curricula that will better prepare Ghana’s pupils in school to meet global challenges. “Mathematics, Science, Reading, Writing and creativity are therefore the heart of this new curriculum,” he said. At the handover ceremony, the GES Council Chairman, Michael Nsowah said that “NaCCA and GES are committed to working together to ensure that every teacher in Ghana receives high-quality training so that they can teach the new curriculum”. Training materials including a training guide and teacher resource packs have already been developed, he added. These materials will be used as part of a comprehensive national training plan to ensure that all teachers are fully prepared to deliver the new curriculum from September 2019.